Been Pulled Over by Officer Chevy Caprice PPV? Over this holiday season I was so dazzled by cars in la-la land that I forgot to post. I’m back on track. Are you ready for some more interesting posts? Even MORE Gifts for the Car Enthusiast! Hi All, sorry I didn’t post Tuesday. It’s vacation time… And if you want to know where I am, I am in good ol’ Los Angeles. If you don’t believe me, watch Randy Newman sing “I Love LA”! “Nutty” granny, or ‘odd’ uncle (I know NOTHING about that…) wanting to know what’s on the wish-list of the car enthusiast for Chanukkah? Here’s some great ideas for them. Hemming’s Motor News is “the Bible of the Industry Since 1954.” It offers good deals for tools, lifts, shop manuals, cars, and even planes! Hemming’s is mainly a magazine that specializes in the classic car industry and market. Their magazines contains lots of ads, auction coverage and articles reviewing classic cars. They also host monthly cruise nights in Bennington, Vermont, live coverage (on their website) from auctions such as: Barrett-Jackson, Russo & Steele, Bonhams, and swap meets. There are well-used cars, trucks and SUVS, fussy collector cars with under 1,000 miles, and so on… Here’s an example of how Hemming’s works: Let’s say you’ve got a 16 year old son. He wants a 1953 Packard Carribean. You decide to get him one for Christmas, so you look in Hemming’s and there’s a practically brand-new Packard Carribean with everything your son wants: big V8, four-on-the-floor, air conditioning and so on – for only $13,000! That’s what Hemming’s has to offer us! If you get the enthusiast of the family a subscription before January 1, 2012, then the family enthusiast will have Hemming’s for only $31.95 a year! So, overall, Hemming’s Motor News is probably the only good classic car magazine around (since 1954…). I highly recommend going to a local bookstore and picking up a copy! You’ll stand there until closing time (and then some!)! Car & Driver is another GREAT gift for the family enthusiast for Christmas, Hannukah, Kwanza, Festivus (sorry, just couldn’t help myself…), or whatever else you might celebrate. A subscription of around $18.00 will get the enthusiast twelve issues of great comparisons, a 10Best issue, a New Car/SUV/Truck Buyer’s Guide and SOOOOOO much more! Hint: I would be fine with Hemming’s, and/or Car & Driver!… My personal favorite of the Editor’s Columns for Car & Driver is John Philips. He is funny, tells a lot about what’s going on in the auto world with a sense of humor, and funny stories about the auto industry. But, the one reason that I LOVE Car & Driver is because they have great comparisons, good(ish) choices for 10Best cars, cool road test data, among other things. Overall, Car & Driver is one of the authorities if the new-car industry. If you don’t want a subscription, then your local library will most likely have all the issues of Car & Driver from the past two years (at least!). By the way, I’ve got a 1952 copy of Car & Driver. December 16, 2011 zoomvroom The auto dictionary. Look it up here! Due to some very. . . shall we call it OCD reasons, this morning I did NOT want to stop reading the new Eragon Inheritance book, Inheritance. It is a GREAT book, and I did NOT want to put it down, but I didn’t want to disappoint you either. Enjoy my short definition of ‘Jimmy’. Haven’t you always wondered why the word ‘jimmy’ was attached to certain vehicles? I thought so. Jimmy (auto-related): A name designated for a short-wheelbase, sport utility vehicle. Primarily, the name has been employed by GMC truck, but is used as a popular term to describe all such trucks. The car, the GMC Jimmy, is the clone of the Chevy Blazer, but under the GMC name (Sierra pickups, Sonoma pickup, Yukon SUV, etc.). Funny enough, the term ‘Jimmy’ is also a popular name for all GMC parts. Jimmy superchargers, Roots-type superchargers for diesels (they’re all called Jimmy!). Note: I posted this on Saturday, but something went awry. This went out to my subscribers, but never posted to the blog. SOrry if you receive this twice. About ten days ago, what must have been a very messy – and expensive crash happened in Japan. Eight Ferrari’s (two 355 Spyder’s, a F430 F1, a 360 Modena, a 458 Italia, two 599 GTB’s, and a 599 GTO), a Lamborghini Gallardo, three Mercedes-Benz’s (a CL600, an SL65 AMG Black Series, and a S500), two Toyota’s (a 2004 Corolla XLE, and a 2000 Sienna), and a Honda Civic have crashed on Chokogu Expressway on the island of Shimonoseki, Japan. There was a group of eight Ferrari’s from a nearby island on a travel route, when one of the Ferrari’s skidded on the slick road (from recent rain), hitting the center divider and quite literally shredding the side of it off. 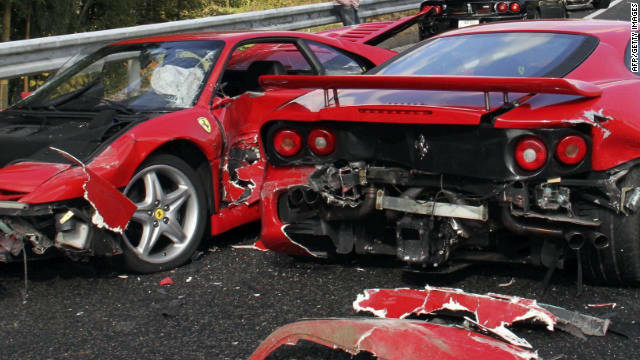 This set off a chain-reaction wreck that wiped out the rest of the Ferrari’s, the Lamborghini, the S500, the SL65 AMG Black Series, the two Toyota’s and the Honda Civic. When flying parts flew over into the other side of the freeway, the CL600 was hit. According to local police, ten drivers were hospitalized, but there were no serious injuries. That’s good (I DO care about other people…), but I’m sad about the cars. The drivers have money, but they have to get new cars (unless they want to spend about $100,000 in repairs! ), so I think that they should get Bugatti Veyron Super Sports (as they have all-wheel-drive, and won’t slip!)!!!! Ready for An Awesome Interview (I thought so…)? What’s red and definitely green all over? Hint: it is not a christmas tree…Well, read on and you’ll find out. Today, we are interviewing Ellen Setchko-Palmerlee and her dad, John Palmerlee. They converted a truck from gasoline power to electric power! How cool is that?! Over the course of two years (mostly weekends…), they converted the truck. If you’re wondering what the truck is, it’s a 1985 Toyota 1/2 ton pickup truck. The truck has lead-acid batteries that give it 15-18 miles of range. Don’t mash your face up at these words – it’s only a truck! Since Ellen and John wanted to have range over utility, they took off the bed. This saved about 300 pounds from the total weight of the truck. 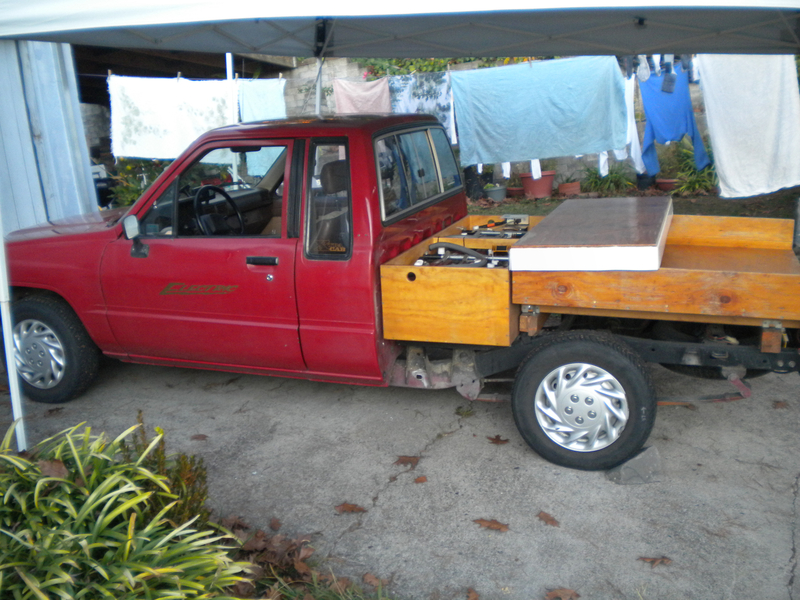 When you look at a truck, you think “that bed can only weigh about 50 pounds…” Well, think again. The bed is one of the most important parts of the truck, as it has to carry a ton (literally) of weight a lot. The bed John and Ellen made has a plywood battery box that holds 900 pounds of batteries. Behind it, there is a smallish bed that can hold about 1,000 pounds or a 1/2 cubic yard of manure, gravel, or dirt. Since the truck is electric, it has a good bit of torque generated from a 75 pound forklift motor that has around 115 horsepower and 230 ft-lb of torque. So, I’ll stop my blabbing and get the show on the road… Of course, the truck can’t tow that much, as they might tow the trailer all of ten feet! The Setchko-Palmerlee family has always had a passion to have an eco-friendly Earth, so the truck is a perfect way to help get there. Plus, Ellen has home schooled (like me!). The perfect home schooling project… Working primarily on weekends, Ellen and John worked tirelessly 8 hours a day every Saturday and Sunday, as a father/daughter project. They started in September 2008, and just finished in June 2010! When I asked them how much it depleted their wallets, I was surprised. I was thinking it was somewhere around $20,000, but in reality, it was only about $8,500! 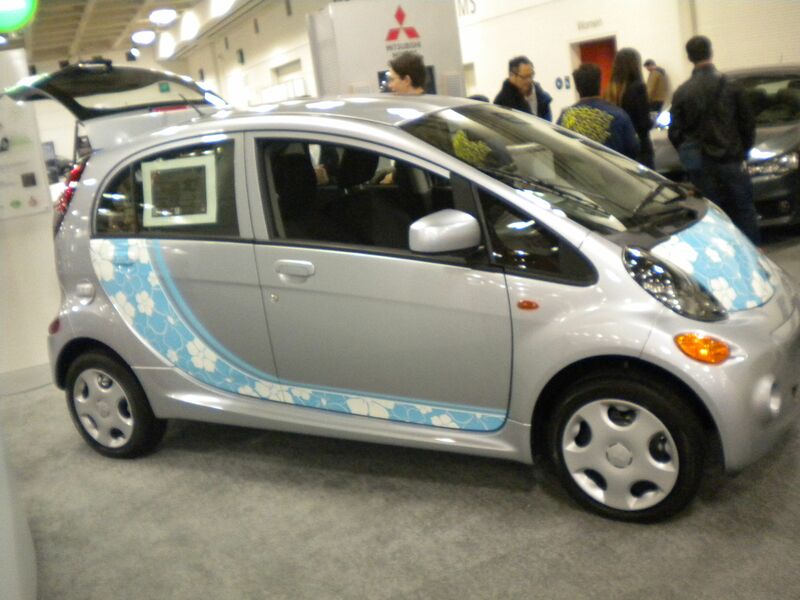 So, in theory, I could convert my Baby to electric power by the time I’m 16 (only if Mom and Dad let me! Hint!). Plus, they got free lead-acid batteries donated to them by a fellow member of the North Bay Electric Automobile Association who had just installed new lithium-ion batteries. Here’s a picture of the 900 pounds of batteries that take only 4-8 hours to charge. To keep the costs down, Ellen and John tried to use materials from around their house. The materials that they mainly used were: about a 1/2 mile of wire, a couple hundred pounds of plywood, fiberglass, and found materials from around their house (some old metal mirror trim and some steel from a shed John had to tear down a few years ago.). They also sold unneeded parts from the truck, such as the bed and the engine. That helped to defray costs. When I asked Ellen and John how much they think it will cost to annually maintain, their estimate is around $500. This will include: new tires, replacement parts, lubrication for the 4-speed manual, and other things. When asked about how the driving experience has changed, Ellen and John said that the truck used to be kind of loud (it blew a head), but now it’s very, very quiet, and sounds like something out of a science fiction movie. However, there is some jerkiness in first gear that they are trying to fix. I also asked how hard it was to convert the truck to electric power. They said that one of the hardest things to do was figure out where to put everything, and how to put it together. 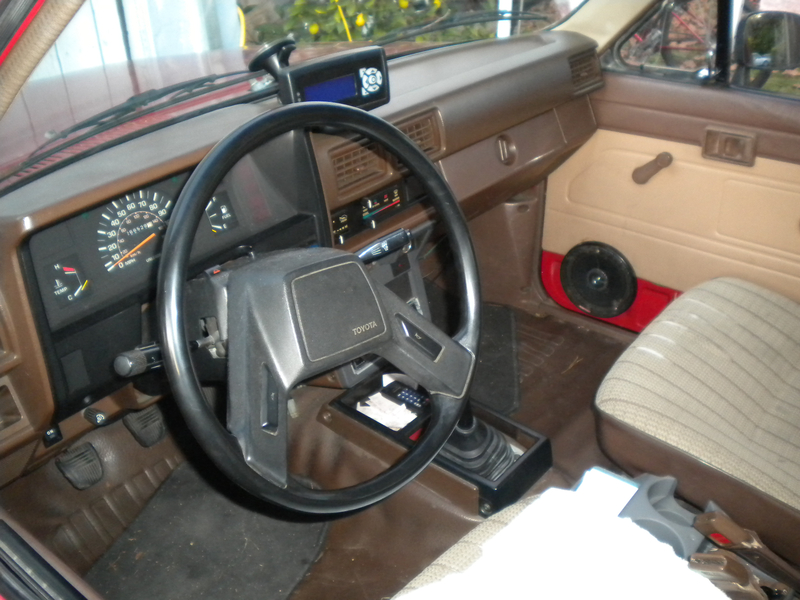 Here, one can admire the plain n’ simple cockpit of the truck. If you’re wondering what the heck that little thing hanging off the windshield is, it’s a message center that allows them to see how many amps they are drawing, and other helpful things. 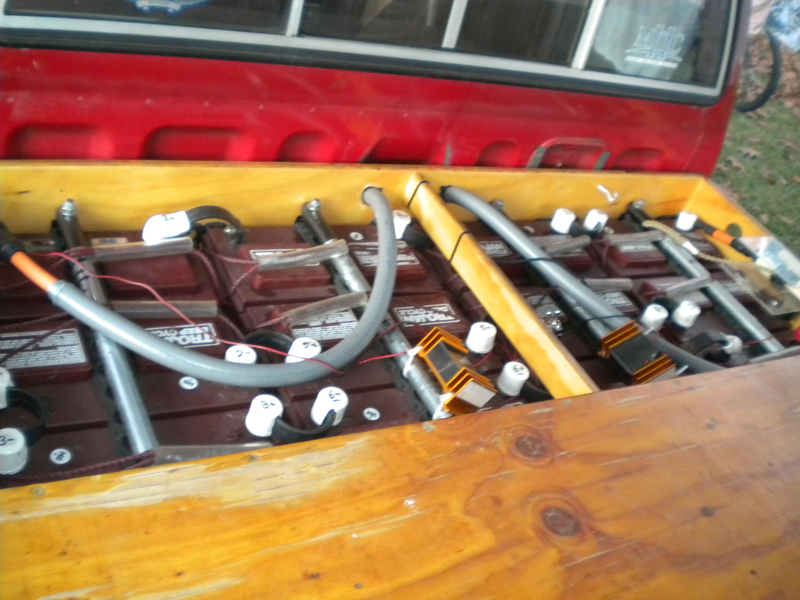 Since there is an audio system (which draws a LOT of power), they try not to use it, as they are afraid of the engine stalling when the batteries die. Get a car (they said it’s nice if it’s on the light side). Clean everything before you start converting. Find batteries and a motor. Install the charger and random parts. Oh, and on the first picture, the brown spot is NOT rust! 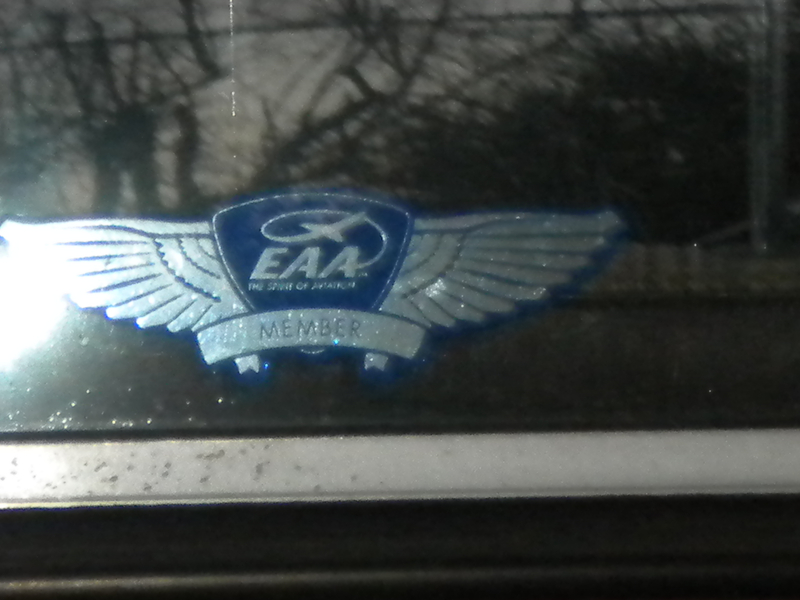 It’s a cool sticker that says “electric.” AND if you tune in on Friday, look for a post on a very expensive car crash in Japan involving a Lamborghini Aventador, some Ferrari’s, two Toyota’s, and a Mercedes-Benz CL600! Even MORE Live Coverage from the San Francisco International Auto Show! 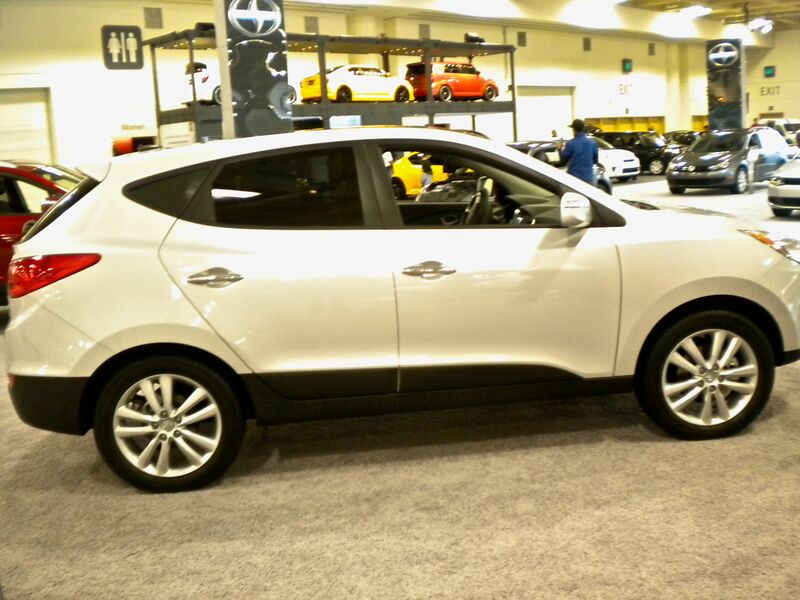 So, I’m sure that most of you know that the San Francisco International Auto Show ended sometime last week. 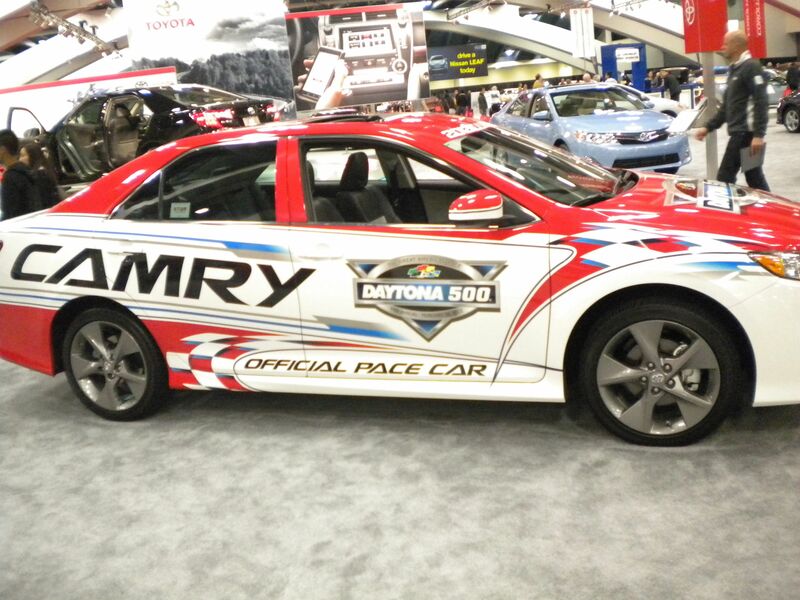 But, I CAN give you the inside scoop on a few cars… At the Toyota stand, there were two Camry Daytona 500 Pace Cars that were unlocked! 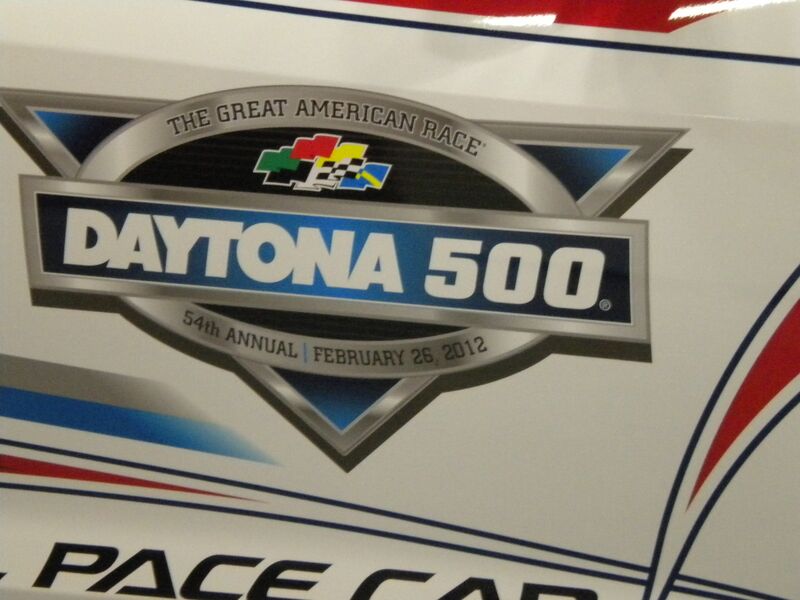 Toyota did a great paint job on their Camry Pace Cars, so I just HAD to snap a photo of the Daytona 500 logo. This was the Camry I was able to get into. Even though Toyota put a five-point harness in, beefed up the airbags, and put an awesome paint job on, this Camry is totally stock. It’s the newest generation (9th), an XLE model (V6, six-speed automatic, cool rims, leather interior, navigation system, Toyota Entune entertainment system, HID headlights, and it makes 268 horsepower! WHEW! That was a long sentence. 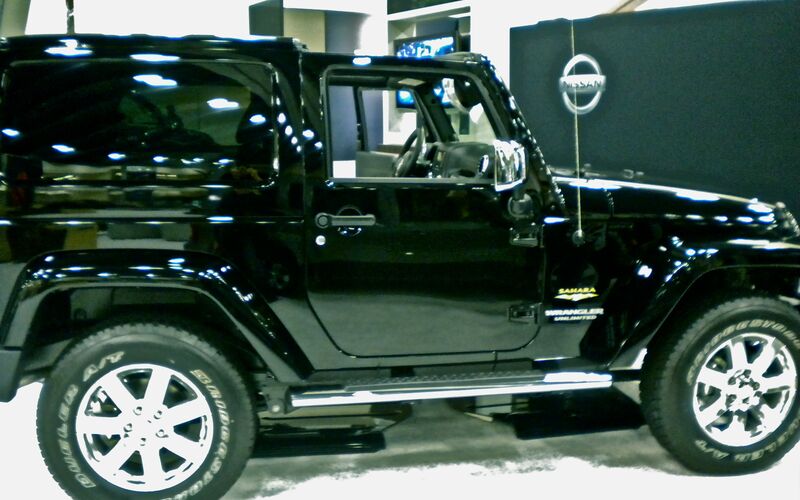 Over at the Chrysler/Dodge/Jeep/Ram stand, there was once a mighty Jeep Wrangler with lots of chrome… Okay, I’ll stop with the bad poems… This Jeep Wrangler has the all-new Pentastar V6, a six-speed automatic, chrome, beefy tires, and a leather interior. Oh, and I almost forgot to mention that it has RUNNING BOARDS!! Just 30 years ago, you had to weld running boards onto your surplus Jeep, there was no chrome, no Pentastar V6, no six-speed automatic, and no leather interior! This Jeep is part of Jeep’s new way to attract buyers who want looks, power, off-road capability, and be comfy inside. The Pentastar V6 makes 283 horsepower and 290 lb-ft of torque hooked up to a six-speed manual or automatic. It has the option of rear-wheel drive, or four-wheel drive . Staying American, we head over to the Fisker stand. With their brand-new (good) Karma, Henrik Fisker, the man who penned the: BMW Z8, Aston Marton V8 Vantage, and Jaguar XJ220 believes he can sell 2000 Karma’s a year. Priced at $81,300, the Fisker Karma is the working person’s cool car. The Karma has a total of 403 horsepower and 960 lb-ft of torque, mated to a 1-speed automatic transmission. It has a 3.73:1 rear axle ratio that helps propel it to a top speed of 125 mph! Straying back to Asia, the small SUV, the Hyundai Tuscon was a star attraction over at the Hyundai stand. With it’s 176 horsepwer, 155 lb-ft of torque engine that’s mated to a six-speed automatic and in this case, four-wheel-drive, it can tow up to 2,000 pounds, haul 1880 pounds, go mildly off-roading, and go to a maximum speed of 112 mph. Plus, it gets 20/28 mpg for city and highway, as tested by the EPA.